For me, Sebastian Bach is the be-all and end-all of music; true progress lies and resides in him alone. It was with these programmatic words that Max Reger prefaced his answer to a survey What does Johann Sebastian Bach mean to me, and what is his significance for our time?, posed by the editors of a magazine in 1905. 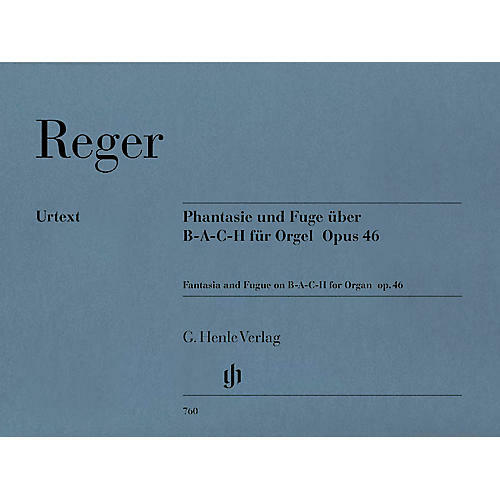 Reger had already proven his adoration of Bach with his magnificent homage to the composer, written and published in 1900 and probably the best-known of his works for organ. It is an established work in the concert repertoire of well-known virtuosi, but is also increasingly being performed by ambitious church musicians. Henle has now published this sea of notes and performance directions in an edition with a particularly clear and readable text.